This is called Zaru, and for Zaru Soba(Udon) noodles, Sashimi, Tempura, etc. Mino-yaki is porcelain made in Gifu Prefecture. 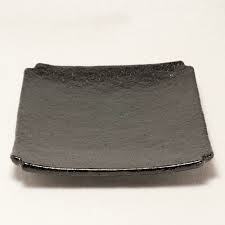 This is a single individual's small dish on which food taken from shared serving dishes is placed.